Cognizant has overtaken Bangalore's Wipro to the Number three rank by revenues among IT service firms operating from India. Infosys, ranked second, is next in its sights. 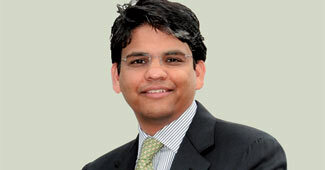 Under headman Francisco D'Souza, Cognizant has turned the outsourcing model on its head. Eco-friendly homes may be expensive, but will help you save money in the long run. The third Business Today Business Confidence Index shows that business is pessimistic, and that hiring may also be decelerating. Naveen Jindal, Chairman and Managing Director, Jindal Steel and Power Ltd shares his leadership style. Will Mallya's move to shut Kingfisher Red pay off? Vijay Mallya shuts Kingfisher Red at a time when low-cost aviation is flying high. Its 15 single-cabin, no-frills aircraft would be converted into a mix of business and full-service economy class seats to become part of the airline's full-service fleet. Can F1 cash in on cricket fatigue? The latest BT-TeamLease survey shows hiring has slowed. Employers have grown cautious. Both the Employment Outlook Index, or EOI, and the Business Outlook Index, or BOI, reveal a three percentage point drop for the October to December 2011 quarter, compared to the previous July to September quarter. Your cover story (King B, October 16) highlights Kumar Mangalam Birla's vision and journey. He gambled with ideas, strategies and dared to dream of a global setup different from the typical Birla style. Corporate honchos are also writing popular fiction. Amazon presents the most credible challenge yet to iPad. CavinKare, which began the sachet revolution, is now working towards a global presence. Long Live the Monk: Steve Jobs redefined the way we look at computers, music and communication through an unwavering self-belief. Will RBI's 12th interest rate hike help tame inflation? If you feel listless at work, you should see a counsellor.